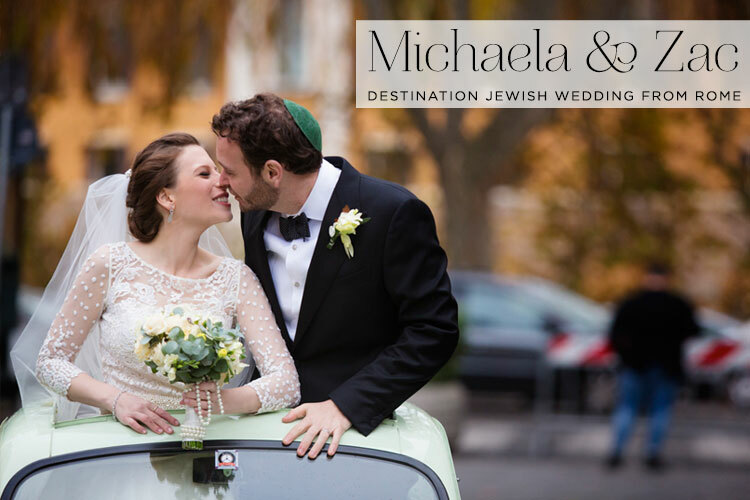 Spring has sprung and we’re delighted to share our first real Jewish wedding of April – and what a way to kick off the month! 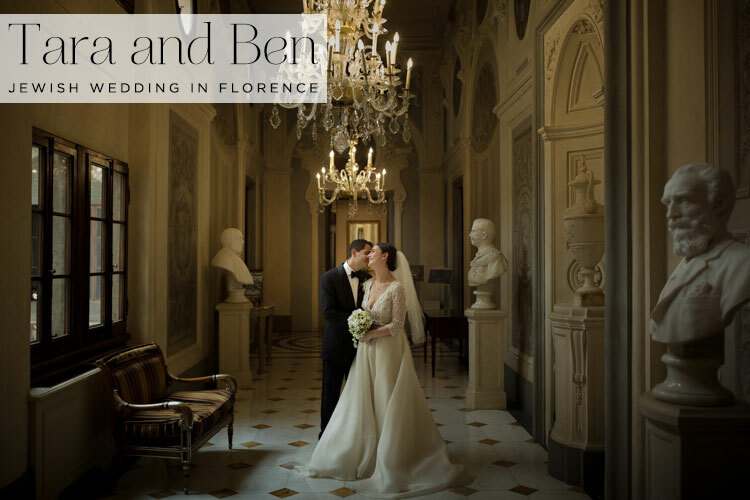 Today’s cultured couple, Tara and Ben, decided to get married in one of the great art history capitals of the world, Florence, Italy. 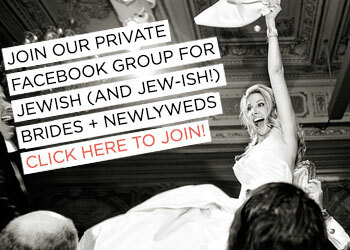 Not only that, but their ceremony was held at the stunning and world-renowned Great Synagogue in the heart of the city and their reception at the prestigious Four Seasons Hotel. 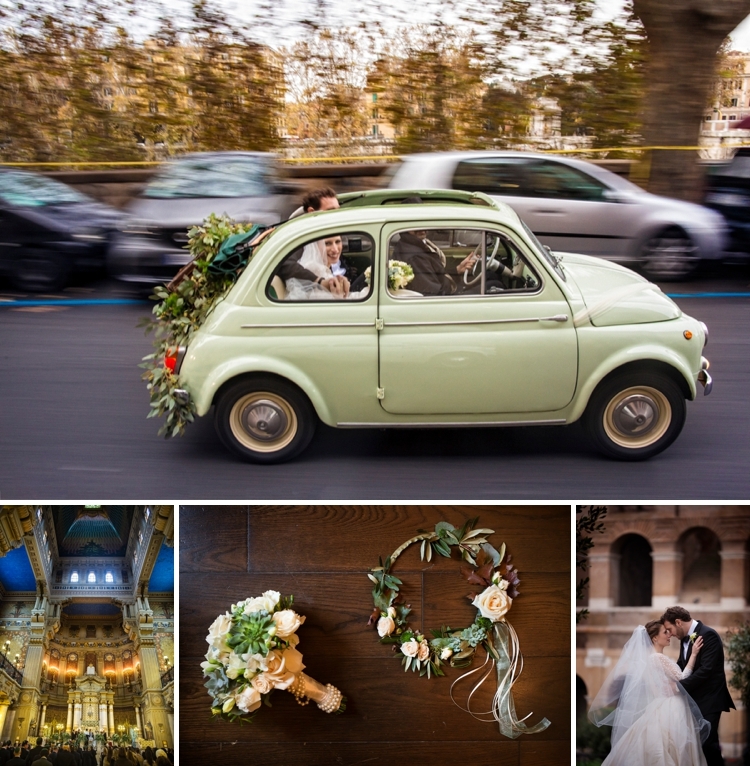 For Tara, who has a degree in History of Art, this was the definition of a dream destination wedding. 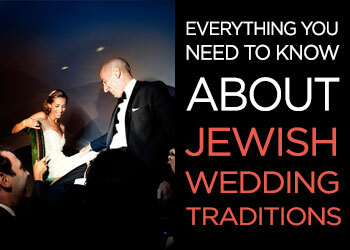 The couple’s music-filled Jewish ceremony included sensational Smashing Supplier, chazan Simon Cohen, who the couple flew in especially so that they could enjoy his beautiful voice. 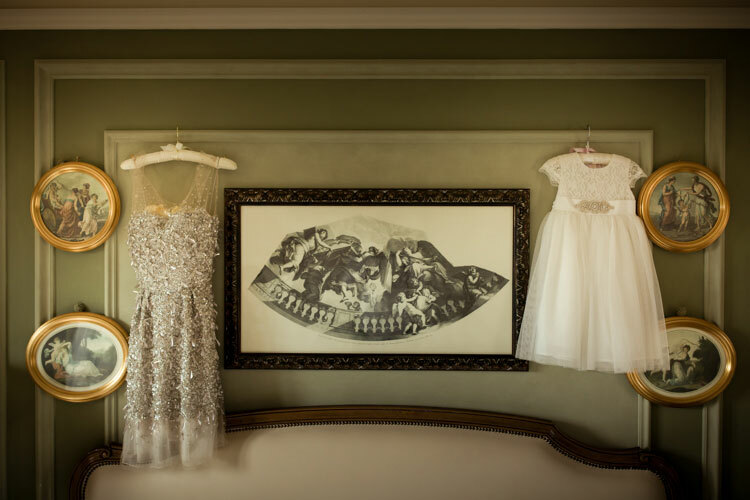 Bride Tara looked every bit the classically beautiful bride in not one but TWO incredible dresses. 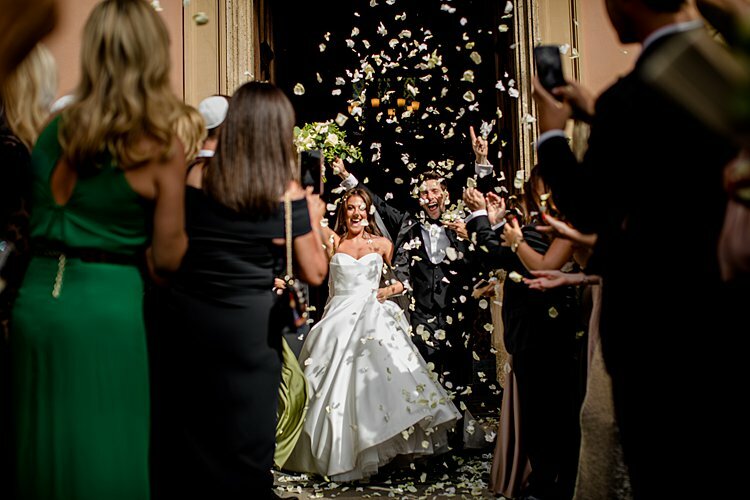 First in her elegant Monique Lhullier gown, which she wore for the ceremony and then in her Jenny Packham party dress. 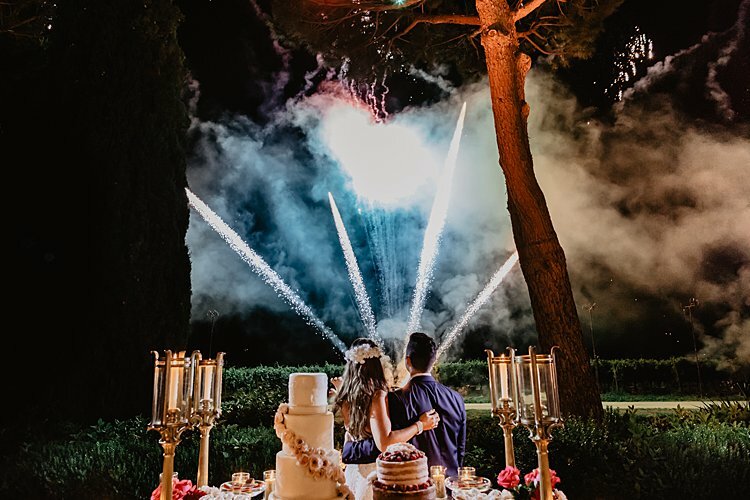 The laid-back, loving atmosphere of the day, including the epic fireworks display the couple arranged to surprise their guests, was captured by the brilliant David Bastianoni, whose wonderful work has been featured many times before on the pages of STG. 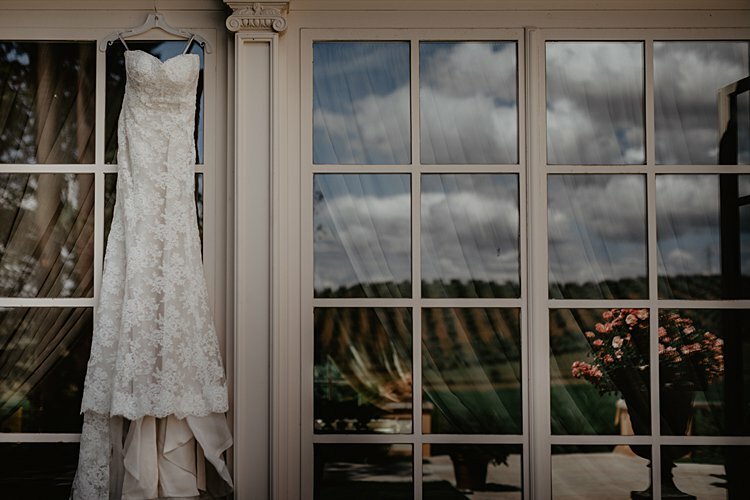 We’ll pass you on to beautiful bride Tara for the lowdown on her and Ben’s beautiful day! 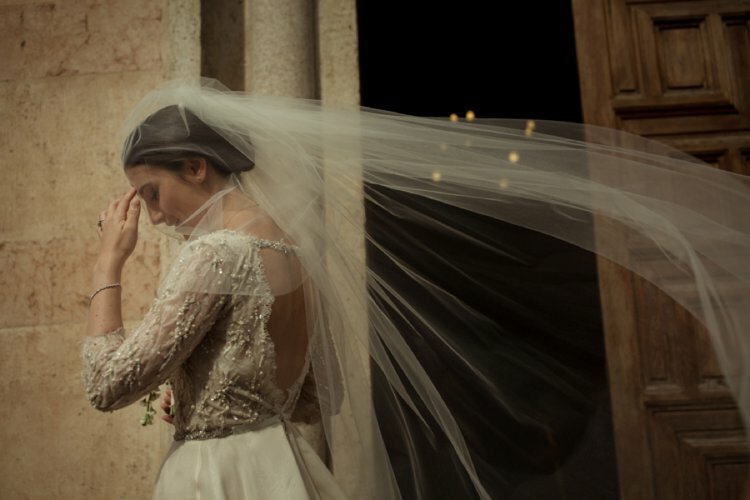 Tara, the bride: It’s hard to describe the magic of walking down a little side street, turning a corner, to be suddenly faced with the Duomo faà§ade and one the grandest synagogues in the world. 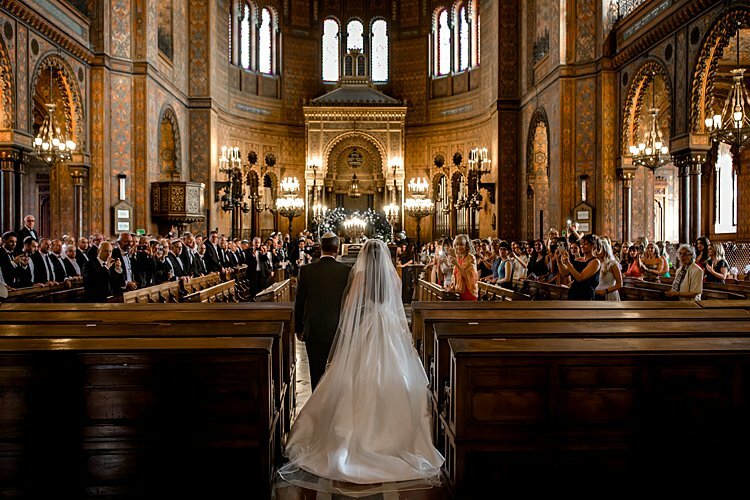 So much beauty in one city and, for us, it was the perfect place to get married. 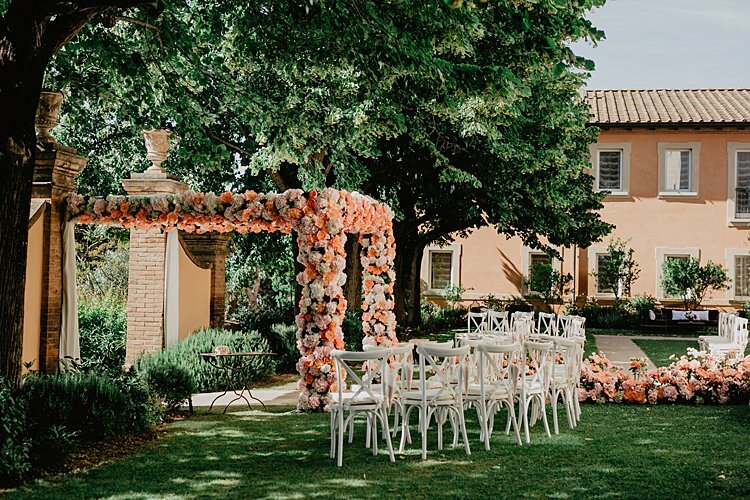 The Four Seasons had it all — The hotel is made up of a 15th-century Palazzo della Gherardesca and an ex 16th-century convent called Il Conventino, set within acres of beautiful gardens in the heart of the city. I have a degree in History of Art and we are both lovers of classical music. 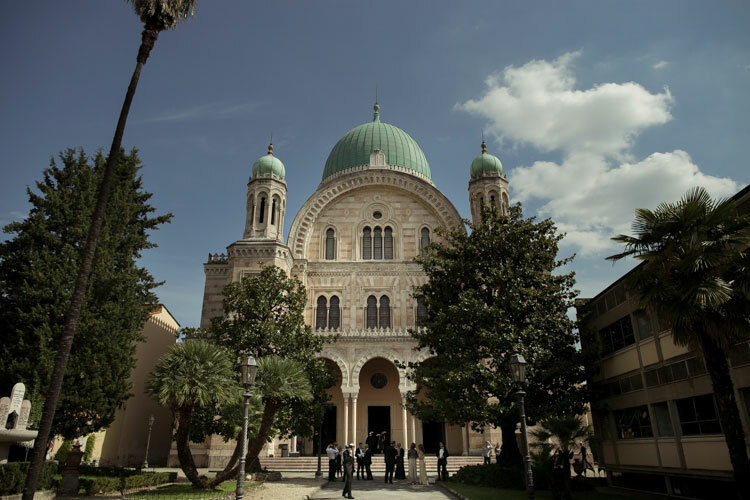 Having visited Florence a number of times, it was always on our wish list. 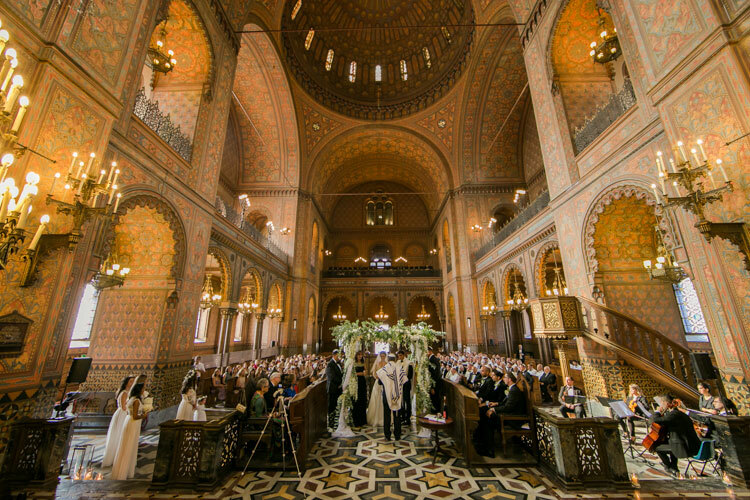 So where else to marry but at a music-filled ceremony at the Great Synagogue in the heart of the City of Florence? 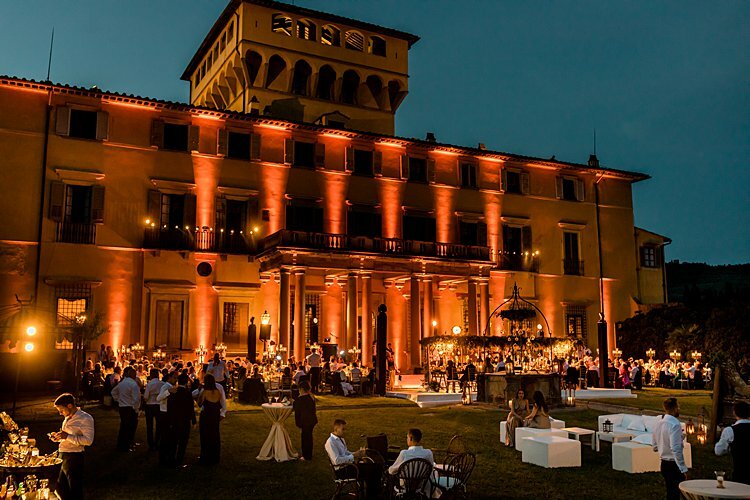 Afterwards, just five minutes away, we were strolling among our 170 guests in 12 acres of stunning gardens at the Four Seasons Hotel, the former Palazzo Scala Della Gherardesca dating from the time of Lorenzo il Magnifico. 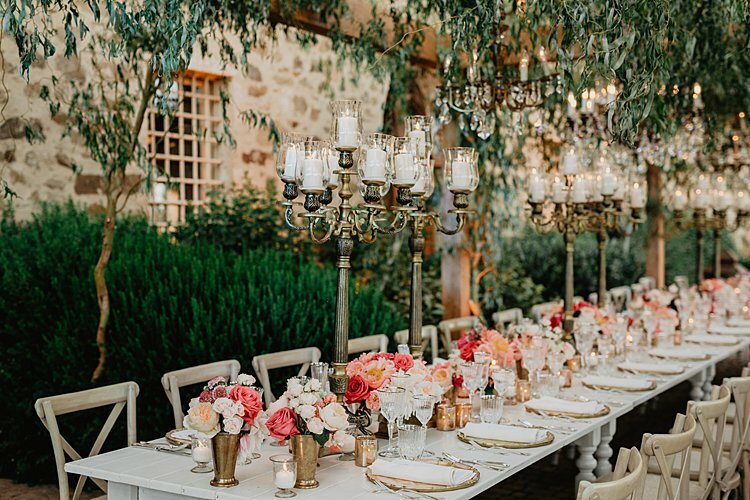 The green avenues, lined with Renaissance sculptures with fabulous views of the Duomo and the Chianti hills, were the perfect backdrop for what we wanted – an elegant outdoor reception followed by a casual dinner under the stars and fun night of partying. 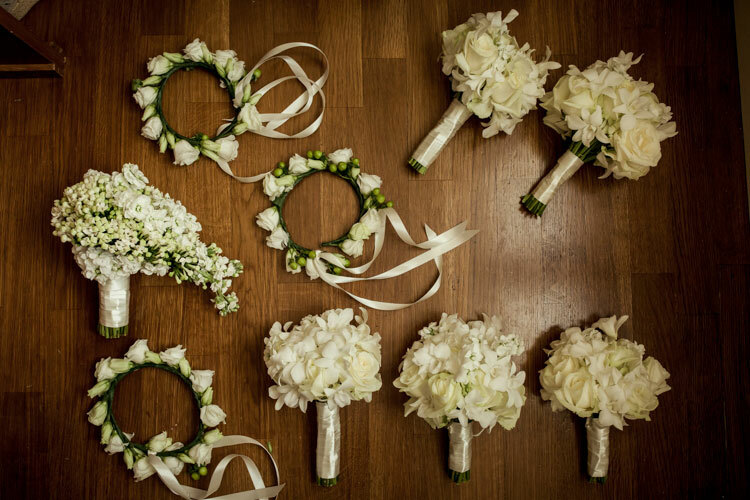 We wanted a traditional wedding done in a more casual and carefree way. Elegant but fun was the message of the weekend. All our guests were in holiday mode, so were relaxed. 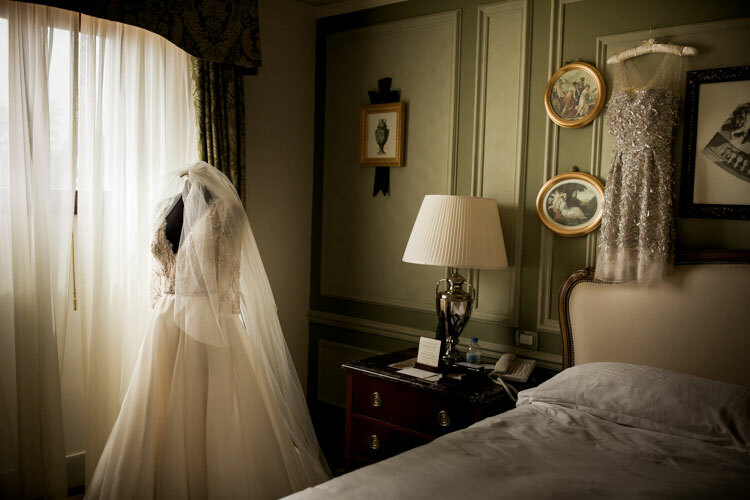 We didn’t use a wedding planner, but the staff at the Four Seasons were fantastic with helping us plan the day. 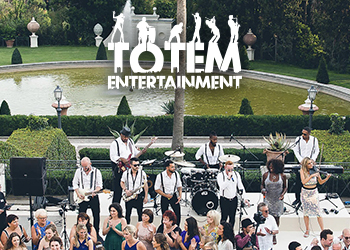 Music was a constant theme throughout the wedding, and we felt strongly about creating an informal and casual atmosphere during the dinner in the gardens. To do this, we created a Spotify playlist of our favourite songs to be played during the dinner. 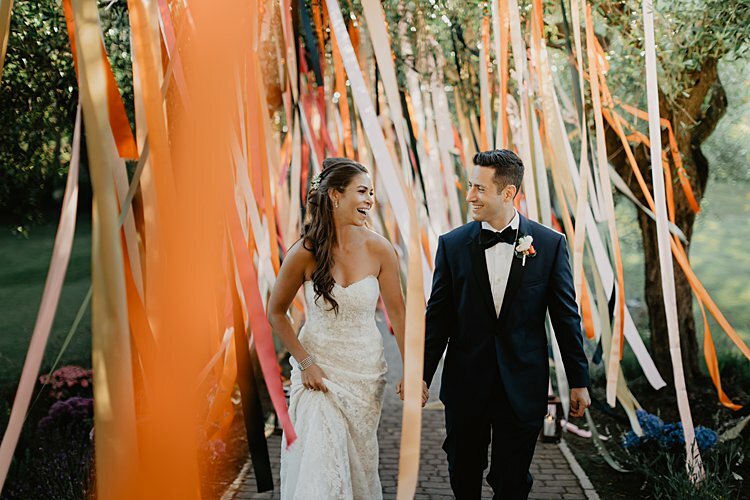 Olivia and Jacob are one seriously hot couple — I mean just look at David Bastianoni‘s gorgeous images of them both… And it gets even better. 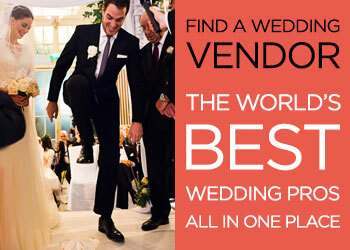 They chose a wedding theme of 50’s / Old Hollywood glamour meets The Godfather. Off the scale, right?! 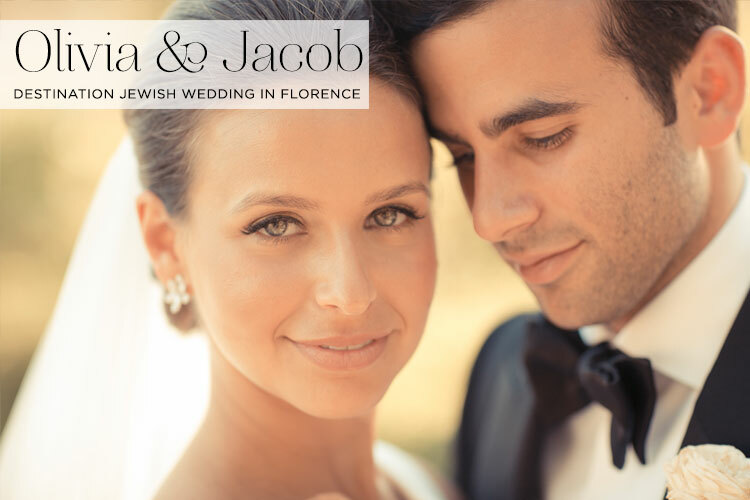 Both Londoners, (they met 7 years ago at Nottingham University) the bride and groom opted to marry in Florence, as that’s where Jacob proposed to Olivia. 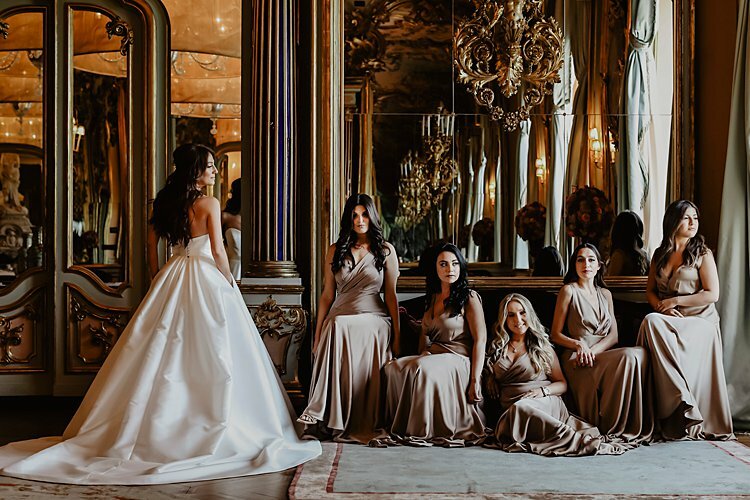 They chose the breathtaking Great Synagogue of Florence followed by a magnificent party at Villa Di Maiano, and their big day is every bit as glamorous and romantic as you’d expect. 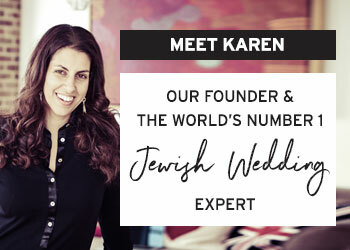 There’s an immense chuppah made from gypsophila, pretty blush pink roses and candles, beautifully ornate calligraphic decor, a classic convertible wedding car, a mille-feuille wedding cake constructed in front of the guests, a phenomenal firework display… I could go on and on and on! 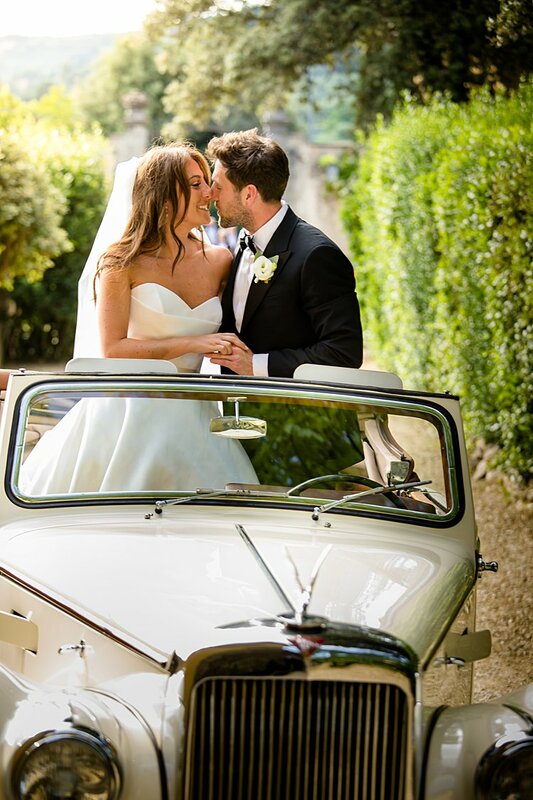 As you’d expect, our bride and groom look impeccable stylish too — Olivia in a beautifully cut bespoke Suzanne Neville gown (based on a design that her and her mother created), and Jacob in a bespoke suit by Cad and the Dandy. 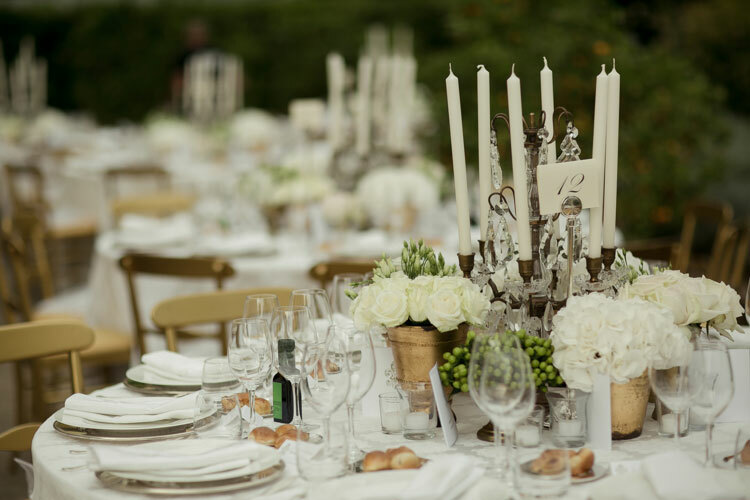 It’s a super chic wedding, full of panache, and lots and lots of heart. Not only do we have the insane images by STG fave, David Bastianoni, but we also have the 8mm film by Marriage à la Mode.